"the people of beautiful hair"Weightless leave-in conditioner and tonerRefreshes and restores moistureDetangles and preps hair for stylingReactivates style weightlessly without washingAlcohol-freeFortified with Ojon® oil, an ancient native secret to naturally beautiful hair from Central America's Tawira tribe, known as "the people of beautiful hair."Ojon® Revitalizing MistA weightless pre-styling leave-in conditioner that detangles, rehydrates, refreshes and preps the hair for styling by rehydrating and restoring the hair shaft.Ideal for all hair types that are damaged, dry, dull or chemically treated.This exceptional "shake to activate" formula works like "liquid Ojon®" to rehydrate, restore and smooth away tangles with one simple movement. A great way to replenish nutrients your hair loses every day. 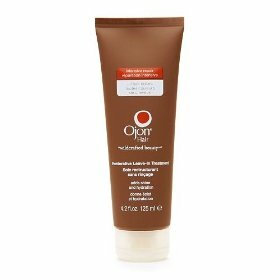 Made from the peel that surround the Ojon® nut, this special pH balanced, vitamin-rich blend seals the cuticle to help prolong hair color and help styling products adhere more effectively and evenly. Reduces breakage caused by thermal styling, sun damage, and combing, and help combat frizz caused by humidity. 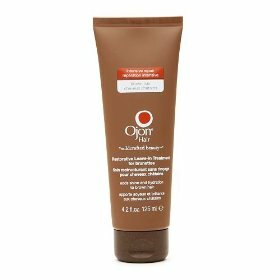 Formulated with 100% pure Ojon® oil, supported by clinical studies to fortify, restore and nourish damaged, color-treated or processed hair. 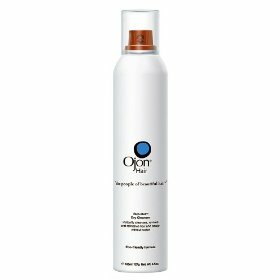 Ojon® Revitalizing Mist can also be used to refresh and reactivate your style without washing. With a revitalizing fragrance, it neutralizes odor as it moisturizes and preps the hair for restyling.No animal testing. Contains no animal-derived ingredients.Manufactured in Italy.